Why Do My New Stainless Steel BBQ Tools Rust? 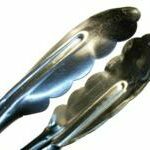 A number of BBQ tools and accessories are fabricated and marketed with the benefit of stainless steel manufacturing. However, this doesn’t mean they absolutely carry rust-proof stainless steel qualities. 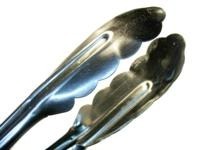 As a result, many home backyard cooks are duped and then frustrated when their “stainless steel” tools begin to show signs of corrosion and rust after just one season or wash in the sink. There is nothing better in the summer than being outdoors with family and friends. From the fabulous food and drinks to the conversations and games, a barbecue defines everything there is about enjoying the heat in the middle of the year. 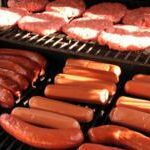 Taking precautions, however, when it comes to using a gas grill is very important during these festive occasions. 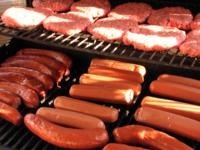 Below are a few tips to keeping everyone safe when grilling up the best foods summer has to offer. 1) Always keep propane tanks in an upright position under the gas grill or when transporting. If a propane tank is on its side, the relief valve of the tank may open which may lead to gas leaking from the tank. This will be harmful when attempting to light a grill or even being around the tank and breathing the fumes. Graduating to a natural gas grill is not a light decision. It involves re-plumbing a gas line out to the grill site, building a grill bay or island, and building the surrounding patio area to accommodate the system. In some cases, some of these parts may already be in place, but they will still need to be modified to complete the new system. The project takes planning and will easily require the help of a certified gas line plumber to make sure the gas line work is done correctly. The above said, a natural gas grill is the zenith of outside BBQ’ing using the reliance of gas flame instead of basic charcoal grilling. Designed well, a BBQ natural gas grill can be a backyard center of attention, along with a bar and sitting counter area for serving food or eating.